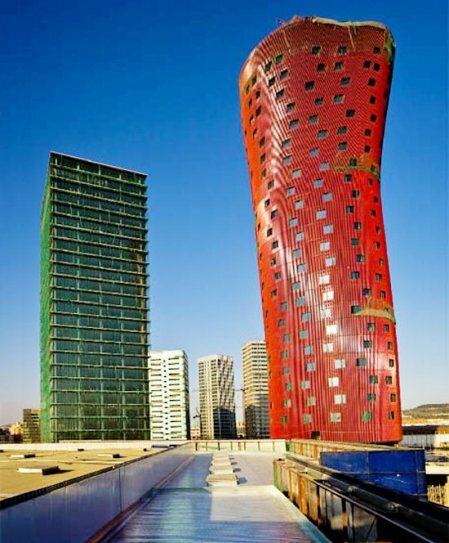 Long time readers here may recall that I have a great appreciation for the look and feel of Barcelona. If I didn’t live in Vancouver, Barcelona is probably the place I would pick to spend my time. It was a great pleasure, therefore, to find the always-interesting Sidewalk Ballet site talking about the city today in a piece that is well worth reading. Also, as an aside, I was watching the Vuelta a Espana race this morning as it toured along the Galician coast and I was stunned by the beauty of that area. I have spent a very long time in Spain over the years but very little in the northwest of the country; I have clearly missed out. I fully support the development of bike paths in Vancouver, and I am keen to encourage the increase of cycling over car riding. 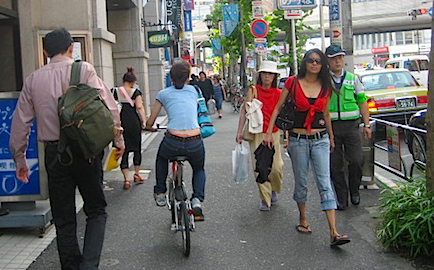 But cyclists do themselves no favours when they put pedestrians like me in danger by cycling on the sidewalk. I must have had to avoid half a dozen cyclists today, riding in places that are supposed to be safe for me and other walkers. Why the hell should I, elderly folks with their groceries, and mothers with young children have to take avoiding action just to protect ourselves from these two-wheeled maniacs? Cyclists should start minding their own kind, bringing social pressure on those that won’t follow reasonable community standards. If they don’t, sooner or later, supporters like me will become ever more reluctant to help. We just came back from what has become an almost weekly visit to the Western Lake Chinese Restaurant up at 33rd and Victoria. 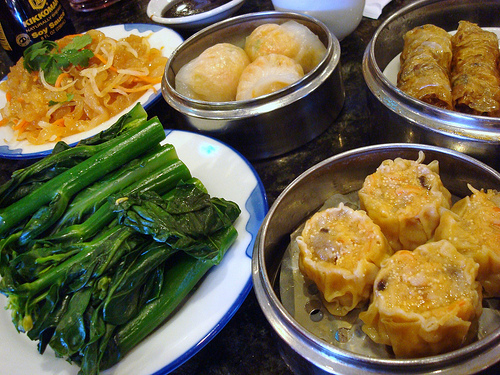 Their dim sum is quite simply the best in town! We have been there dozens of times now and there has never been a single dish that has disappointed. Today we filled up on dumplings (siu mai, chive and har gow), their incredible squid in peppery salt and kailan, washed down with lashings of their very fine jasmine tea. We had no room today for their equally delectable chiu-chou fan or char siu bau. The service was excellent as always, and they have long since been treating us as welcome regulars. If you haven’t been there before, however, don’t be put off by the wait for a table — it is packed every day from about 10 in the morning to mid-afternoon — because it is well worth it. We spend about $35 including tip which is great value these days for a meal that keeps two people happy for the whole day. 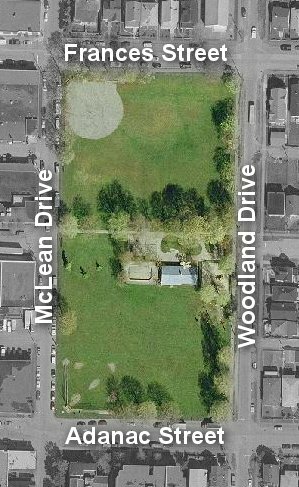 In November last year, a few of us embarked on the creation of a proposal to create a new community garden at Woodland Park, in the course of which we connected with all of you great folks! Now, we have some very good news to share with you all: the Parks Board has approved our proposal! 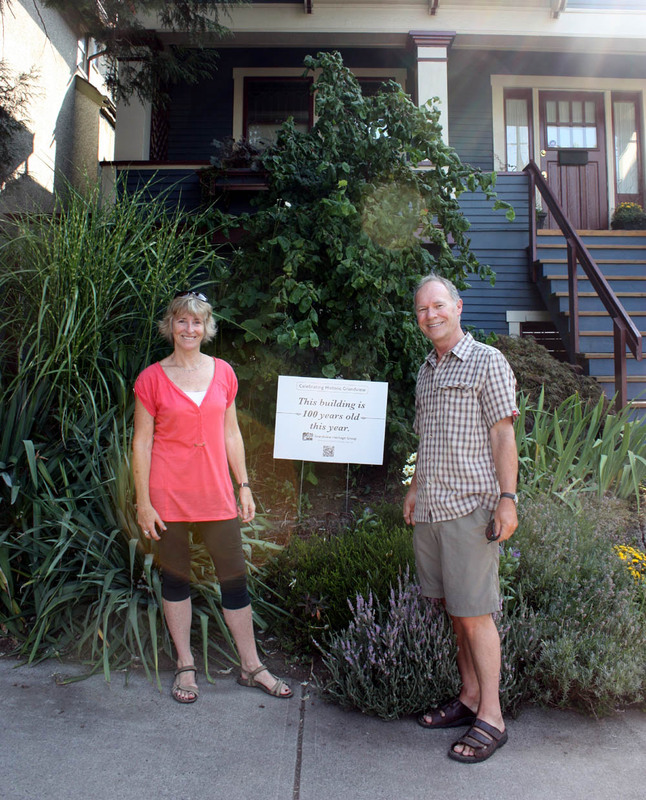 Woodland Park will be the home of Vancouver’s newest community garden starting next spring! Wonderful news and bravo to the team that organized this! I am hoping to get a plot and I look forward to helping with the preparation this winter. It seems like an age since I posted here. I have been really busy helping to finish off the Grandview Heritage Group’s 100th Birthday Sign campaign, writing up histories, visiting each property, etc. I also did an interview with Stephen Quinn on CBC Radio yesterday afternoon. But the work has been completed now and the results are illustrated in a wonderful interactive map with descriptions and images of all the houses in our campaign. We hope that locals and visitors will use the map to help plan walking tours around our neighbourhood to honour and celebrate the incredible architectural heritage that surrounds us here in Grandview. This has been an extraordinarily fulfilling project, working closely with a dedicated group of hard-working volunteers and developing a web of contacts throughout the community. We’ll do it all again next year with a different batch of houses. You are currently browsing the Jak's View of Vancouver v.3 blog archives for August, 2012.